Housed in a Small Form-Factor Pluggable (SFP) enclosure, it is designed for quick and simple insertion into any 100BaseFx Ethernet port with an MSA-compatible socket. The RAD MiTOP-E3/T3 is a simple and cost-effective alternative to external, standalone gateways or conversion cards for each user device, saving on space, power consumption, cabling, and simplifying management. The gateway provides a legacy over PSN solution for transmitting E3/T3 streams over packet switched networks. The device converts the data stream from its user E3/T3 ports into packets for transmission over the network. The addressing scheme of these packets is UDP/IP, MPLS or MEF. These packets are transmitted via a 100BaseFx port of the host device to the PSN. A remote pseudowire gateway converts the packets back to E3/T3 traffic. High-performance ASIC-based buffering and forwarding techniques are used to minimize end-to-end processing delay. Configurable packet size balances between PSN throughput and delay. A large configurable jitter buffer per each PW connection compensates for the delay variation introduced by the PSN. The gateway employs SAToP payload encapsulation. On the network side, the unit uses MPLS, MEF and UDP/IP encapsulation techniques. 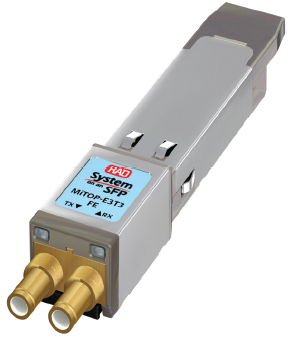 Housed in a Small Form Factor Pluggable (SFP) package, RAD MiTOP-E3/T3 complies with the Multi-Source Agreement. Running on power derived from the host device, it requires no additional power supply. 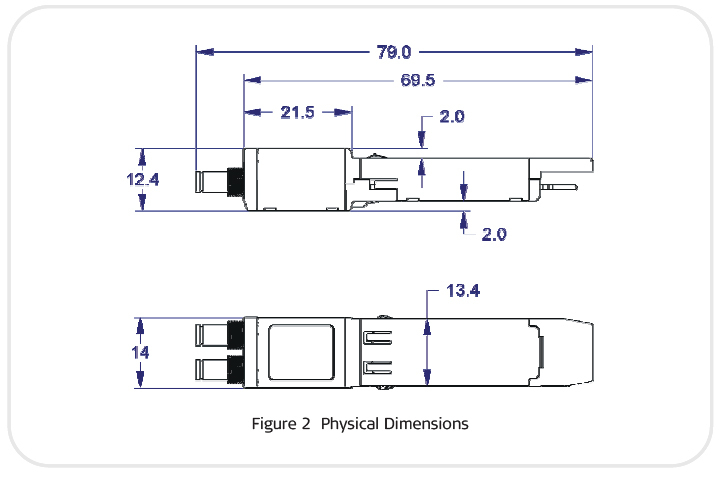 MiTOP-E3/T3 is hot-swappable and features a special release mechanism for easy extraction from the SFP socket. For Ethernet networks – the outgoing pseudowire packets are assigned a dedicated VLAN ID according to 802.1Q and marked for priority using 802.1p bits. For IP networks – the outgoing pseudowire packets are marked for priority using ToS (including the DSCP and Diffserv bits). For MPLS networks – the outgoing pseudowire packets are assigned to a specific MPLS tunnel and marked for priority using EXP bits. • Adaptive – the clock is recovered from the PSN. Advanced clock recovery conforms to G.823 using G.8261-defined scenarios. Jitter and wander of the recovered clock are maintained at levels that conform to G.823/G.824 traffic. For adaptive clock recovery, the recovered clock performance depends on the packet network characteristics. • M23, C-bit framing (T3). MiTOP-E3/T3 is transparent to all signaling protocols. Loss of E3 or T3 signal is propagated by sending an electrical LOS signal to the 100BaseFx port, and is visually indicated by the LOS LED (red) turning on. This in turn can automatically turn off the LAN link. Turning on/off the packet link is user-configurable (enabled or disabled). • Inband via the Ethernet port, using a Web browser. 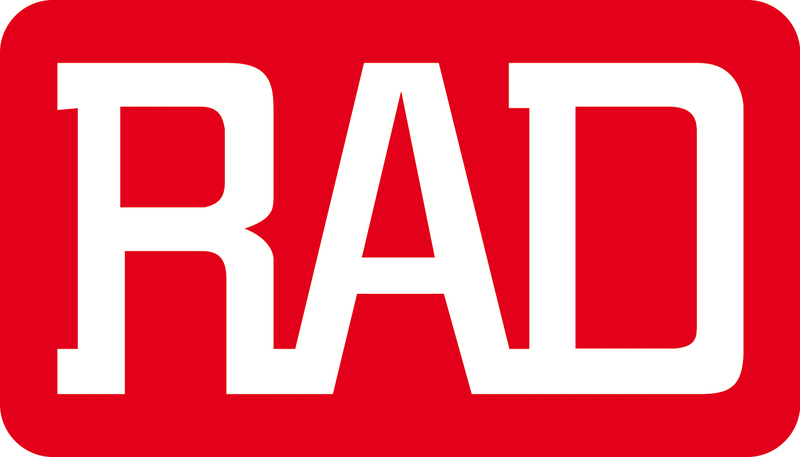 RAD’s TDM PW OAM mechanism verifies connectivity and prevents pseudowire configuration mismatch. External and internal loopbacks can be used to check TDM link connectivity. Alarms detected during operation are stored in a buffer holding up to 100 events. MiTOP-E3/T3/H is a temperature-hardened version of the gateway intended for industrial installations. preliminary configuration or software download.